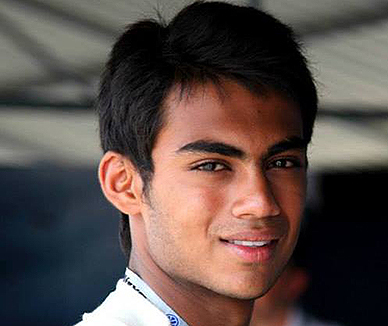 Akhil Rabindra has joined double champions Lanan Racing for the 2016 Duo BRDC Formula 4 Championship. He becomes the first of three drivers to be confirmed for the new season. Rabindra, from Bangalore, India, moves to Lanan Racing having competed in Formula 4 in 2015. He finished his debut season of European racing in 13th place in the standings, with a best finish of seventh at Rockingham in round five. The 19-year-old was selected to join the FIA Young Driver Excellence Academy in 2014, and prior to moving to England to contest Formula 4 Rabindra enjoyed success in Asia. Rabindra won twice on the way to finishing runner-up Formula BMW-based JK Tyre Racing India Series in 2014. Rabindra said: "Lanan Racing has been the most successful team in Formula 4 so I am really happy to be joining them. Last year gave me the experience of racing in the UK that I needed and I am looking forward to fighting at the front next year." Lanan Racing team principal Graham Johnson added: "We saw how Akhil improved as last year progressed, so it's great to have signed him for next season. His record is strong and we are looking forward to working with him to push him forward and on to race wins." For more information contact team manager Graham Johnson by emailing graham@lananracing.com or by calling 01234 750987.